The museum exhibits are closed while the museum relocates. Although the exhibits are unavailable, the museum offers suitcase tours for groups. See the "Programs" page for details. This fascinating exhibit explains the history of the polio virus and the large, metal machine that was used to keep its victims alive–the respirator or “Iron Lung.” Polio was one of the most feared diseases of the 20th century. A timeline traces its history from ancient Egypt to its eradication in the Western Hemisphere in the late 1970s. The main attraction is an Emerson Iron Lung (c1950) and a custom made replica that visitors can try for themselves! Photographs of the first mass immuziation in the United States using the Sabin vaccine (held in Youngstown in 1961) help tell the vaccination story. This exhibit allows visitors to witness the evolution of doctors’ offices from 1895 to 1935. The recreations show how the discovery of germs, sterilization techniques, and new technology changed the practice of medicine. This exhibit tells the fascinating story of the discovery of the x-ray by German physicist Wilhelm Conrad Roentgen in 1895 and how the technology was quickly embraced by the medical community. The exhibit features several types of x-ray machines from the 1920s-1950s, including a wooden German-made x-ray machine, a dental x-ray machine, and a flouroscope. For centuries, physicians have fashioned devices to help them diagnose and treat patients. The history of these tools is tied to our growing knowledge about the functions of the body as well as to the invention of materials such as steel, rubber, and plastic. 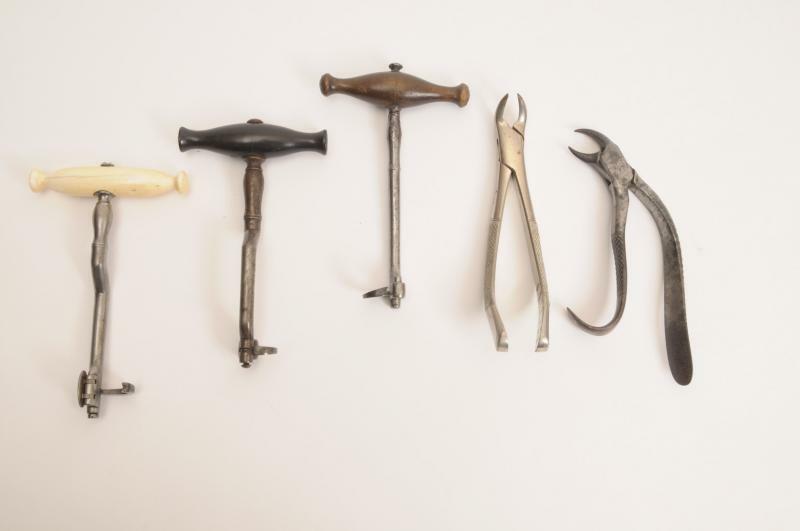 This exhibit features the evolution of medical tools from dentistry, obstetrics, surgery, ophthalmology, pharmaceutical and other disciplines.